Entertainment services, party services ads in Melbourne. Thank you for visiting our free advertising website Entertainment services, party services, Melbourne section. We provide high response free classifieds and free advertisement. Use our online free Entertainment services, party services classifieds placement system to find, list, offer Entertainment services, party services online! 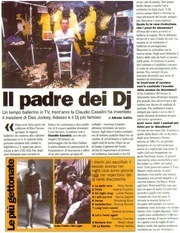 Do You Want Branded DJ Sound System? If you get branded DJ & Sound System for your Events. We provide best products, well established and professional audio and DJ system hire service provider based in Sydney and Melbourne. Contact Us Now CRLighting and Audio 31/192A Kingsgrove Road, Kingsgrove, NSW 2208 Get Enquiry on 1800 95 99 96 More Info:- http://www. Snap time is one of the best photo boot hire in Melbourne. 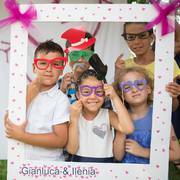 We provide comprehensive range of photo booth hire services in Melbourne and creates a dynamic unforgettable experience at all your events. 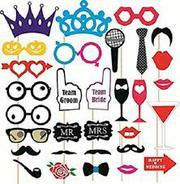 We offers party photo booth hire for parties throughout Melbourne. Our wedding photo booth hire Melbourne will capture every moment of your wedding day. Do you want to watch the best Australian TV shows? 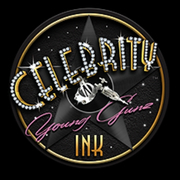 Then consider watching Celebrity Ink Young Gunz™. This is a reality TV show, and this time they have featured aspiring tattoo artists. 9 Network broadcasts the show, and social media plays an integral role in it. Explore more @ https://younggunztv. Bollywood is glamour, glitz and feet thumping dance moves. Ignite Bollywood brings this magic to Melbourne. We are a troupe of talented dancers specialising in the Bollywood dance. Our dancers will create a mesmerising and colourful experience for your guests at various events like weddings, birthday parties, corporate events and more. Mesmerise your wedding guests with amazing dance performances. At Ignite Bollywood our troupe of Indian wedding dancers in Melbourne will make your wedding memorable with breathtaking performances. We create a complete cultural experience for your guest with dance numbers, live musicians, DJs and henna artists. In all Italy, our staff, Romadjpianobar, offer follow services for wedding music entertainment and events: DJ Service Piano Bar/Karaoke Live Band Jazz Band Gospel Ceremony music Baby Party Service Audio/Lights Our artists make music and services from many years, and our agency is specialized in weddings in Italy. WEDDING DJs ~ ANY STYLE MUSIC SINCE 1982! ~ SINGERS, JAZZ BAND.. FOR ALL YOUR EVENTS AND WEDDING PARTY IN ITALY... JUST ONE NAME: WEDDINGDJ.IT - by www.ROMADJPIANOBAR.com - We like contact with wedding planner - +39 - 328.3334184 http://www.facebook.com/giampierofatica SINCE 1982 SPECIALIZED IN MUSIC SERVICES: Our agency is composed with real Djs, Musicians and Singers with a great live experience. School incursions by Ignite Bollywood is an interactive and entertaining way to impart valuable lessons to students of primary and secondary classes. Our group of talented dancers offers customised incursion and dance workshops in Melbourne to provide a creative outlet for the students to express themselves. We will help you add a spark to your wedding by creating a magical, vibrant and fun experience for your guests. Indian Bollywood dancers for weddings are becoming an increasingly popular way to keep the guests entertained. We can help you create a beautiful and unforgettable cultural experience with our team of Bollywood dancers for different wedding functions. Have still not planned the office Christmas party yet? It is never too late to plan the party. Call Ignite Bollywood and leave all the hassles to us. We are a team of enthusiastic Bollywood dancers with tons of exciting ideas for Christmas party at work. We bring in the rich and colourful Bollywood entertainment, delighting your guests with the foot tapping dance numbers. Hunting Wedding Venue in Melbourne? At Sandy By The Bay Wedding Venue offers panoramic views over Port Phillip Bay, Sandringham marina & the city skyline, a spectacular backdrop both day and night. We have ultimate space suit for Wedding Venues and Function Venue. We have range of packages to suit your budget and needs, and our dedicated staff and event manager help you to create perfect setting for your next function. Hunting Function Venues in Melbourne? At Sandy By The Bay function venue offers panoramic views over Port Phillip Bay, Sandringham marina & the city skyline, a spectacular backdrop both day and night. We have ultimate space suit for Wedding Venues and Function Venue. We have range of packages to suit your budget and needs, and our dedicated staff and event manager help you to create perfect setting for your next function. Begin planning your Christmas and looking for Buffet Lunch in Dandenong? Paesano Hampton Park is one of the best Seafood and Italian Buffet restaurant in Dandenong. We have the best team provide you excellent service and great atmosphere, quality food. Our Italian restaurant has wide, open spaces with private booths as well as alfresco dining options. Celebrate in style with the best wedding Dj hire in Melbourne! To put it simply, a wedding is incomplete without the perfect musical arrangement. When the couple says their vows, it is surely a magical moment to witness. So celebrate this moment of love and togetherness with the best wedding Dj to hire in Melbourne. Just visit djapostle and Peter will help you etch this loving and romantic memory forever in your heart with the perfect music. Hunting for a sophisticated Corporate Venue in Cranbourne? Paesano Hampton Park is the best place for your corporate venue in Cranbourne. we are one of the great restaurants situated in Cranbourne Our professional staff serve you the Best quality Italian food. We are a family-run Italian restaurant and pride ourselves on providing a welcoming dining atmosphere to your family and friends. Seeking an open style photo booth hire in Melbourne? Daisy’s Photobooth offers you an impressive range of event photo booth hire in Melbourne without burning a hole in your pocket.We have plenty of experience in the field of photography and promise to make your event (regardless of what it may be) worth remembering. Hunting venue for Kids Birthday Party ? Paesano Hampton Park’s available in Cranbourne, we providing function venue and our staff take care of all your party venue planning. Our Italian restaurant and birthday party venue is known for its great environment, excellence food and best service. At Paesano Hampton Park we believe good cuisine is meant to be shared. 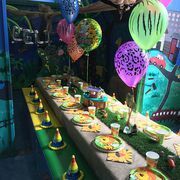 Not really sure where to hold your kid's party in Melbourne? The choice is easy. Tickity Boo is the chosen venue for all the kid's parties in Melbourne. We have more than 25 years of experience in organising and entertaining the best kids parties in Melbourne. Be it the 1st birthday party of your kid, or any private function, we take pride in making your event full of fun and endless memories. Acoustic Weddings has brought beautiful music to wedding days for over 15 years. With our own arrangements, we offer an innovative take on old and new songs. With such an extensive repertoire we can create a unique playlist for your wedding. Our acoustic duos and live music offer a stylish, personable and affordable addition to your wedding day, whether as bridal entry or ceremony music, background music for drinks and canap�s, or the highlight of your reception. Are you in search of one such professional who can be an inspiration in your next event? Rodney Hogg has to be your ultimate choice as he is Australia's most reputed corporate and motivational speakers who will entertain with his mix of humour and humility. With him, you can be sure that your event will be one of the most memorable things in your life. The most engaging and fun team building events in Melbourne driven by technology. Unique concept. No paper maps No dad jokes. The constant positive buzz and all your team on their toes is guaranteed. Lucky for you Urban Quest offer a solution that encourages team building Melbourne companies are increasingly turning to when they want to re-energise their staff and strengthen bonds all while having a ton of fun. Take away your kids’ stress with amazing Indoor kids Activities in Melbourne . We at Tickity Boo is dedicated to providing kids birthday party packages including kids’ activities, kids’ games, and adult platters. These activities will motivate your kid to explore their talent. Technology has a significant place in today scenario; however, don’t let it replace with children’s playtime or Indoor kids activities. 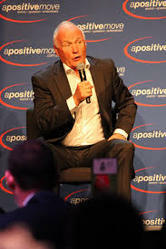 Do you require effective and affordable Motivational Speakers in Melbourne? Then Rodney Hogg is most trusted name for Motivational Speaking. He is as one of the world's most renowned inspirational speakers. He is former Australian cricketer, Australia’s foremost public speaker, guest speaker, keynote speaker and corporate speakers in Melbourne. Rsquared Entertainment offer party DJ, professional wedding entertainment, coupled with first-class service. 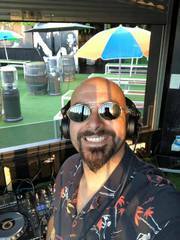 Best party DJ hire to make you memories safe. Rsquared2 co-ordinate with your caterers, photographer, videographer, and wedding coordinator to make sure all your traditional (and non-traditional) events are timed to perfection. Located on the Mezzanine Level, our Business Lounges are the perfect flexible community workspaces. Just choose any desk and completely immerse yourself in the co-working experience. Mingle with like-minded individuals, network to your heart's content, or simply focus on your own work, surrounded by a productive, friendly and inclusive work environment. 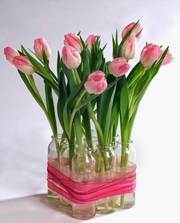 Are you looking for Same Day Flower Delivery In Melbourne? Melbourne Florist is one and only florist who provides affordable flower delivery services on the same day in the stipulated time period. Read this post or contact us at any time or visit us at:- https://www.melbourneflorist.com.au. Pashphotobooths is an Australian organization that provides best photo booths for wedding, Birthday parties and Events at very cheap cost. https://www.pashphotobooths.com.au/. Rsquared Entertainment offer a wide range of Melbourne corporate DJ solutions for all types of functions, from exclusive fashion runway shows to product launches. Rsquared2 co-ordinate with your caterers, photographer, videographer, and wedding coordinator to make sure all your traditional (and non-traditional) events are timed to perfection. A & A Jumping Castles offer a number of fantastic amusement rides in Melbourne. Such as bucking bull, jumping castle, and inflatable castle. Call us today! 1300305547 info@aajumpingcastles.com.au 4/21-23 Graham Ct, Hoppers Crossing Vic 3029 Australia http://www.aajumpingcastles.com.au/. A 1930’s traditional traveling Circus Tent. This beautiful venue will add the ‘wow’ factor to your next event or evening with us. All year round the Wonderland Spiegeltent travels Australia hosting performances to audiences of all ages. 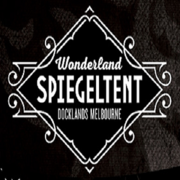 Website: https://www.wonderlandspiegeltent.com.au/ Phone: 03 9602 1311 Email: functions@wonderlandspiegeltent. Australia free ads for Entertainment services, party services, Melbourne, Entertainment services, party services free ads Melbourne, Entertainment services, party services for sale Melbourne, Entertainment services, party services to buy in Melbourne. Find on this page free classifieds for Entertainment services, party services in Melbourne. This listing includes classifieds for sale and to buy in Melbourne. FREEADSAustralia Melbourne offers you a platform to post free advertisements or classifieds for Entertainment services, party services in Melbourne. FREEADSAustralia helps you search, find buy, sell, rent or hire in various categories like apartments, goods for sale, local services, cars , jobs and many more in Melbourne. If you posted an advertisement in category Entertainment services, party services of FREEADSAustralia Melbourne before please use Edit my ads button to change or cancel your ad. Entertainment services, party services Melbourne ads Melbourne, Entertainment services, party services classifieds Melbourne, Entertainment services, party services free ads Melbourne, ads for sale Melbourne, ads to buy Melbourne, FREEADSAustralia. Find here ads for sale, to buy and rent in Melbourne. Goods for sale in Melbourne, vehicles for sale in Melbourne, Melbourne real estate for sale, Melbourne property for sale, property for rent in Melbourne, business ads in Melbourne, Melbourne business classifieds, services in Melbourne, Melbourne services ads, jobs in Melbourne, pets for sale in Melbourne, Melbourne dating, Melbourne cars for sale.